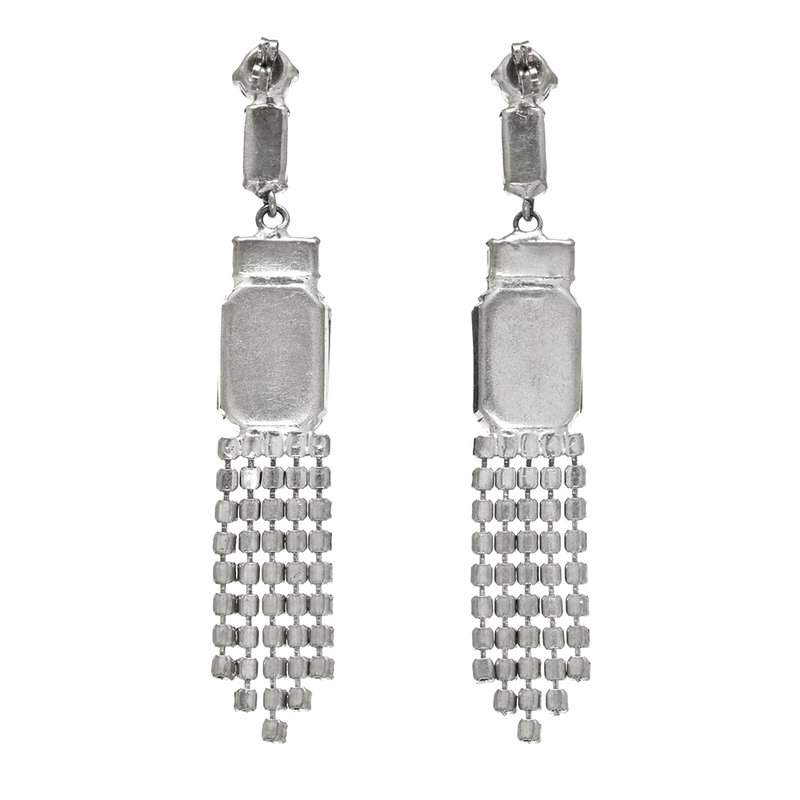 Divine unsigned French 1950′s silvertone earings in a chandelier style. 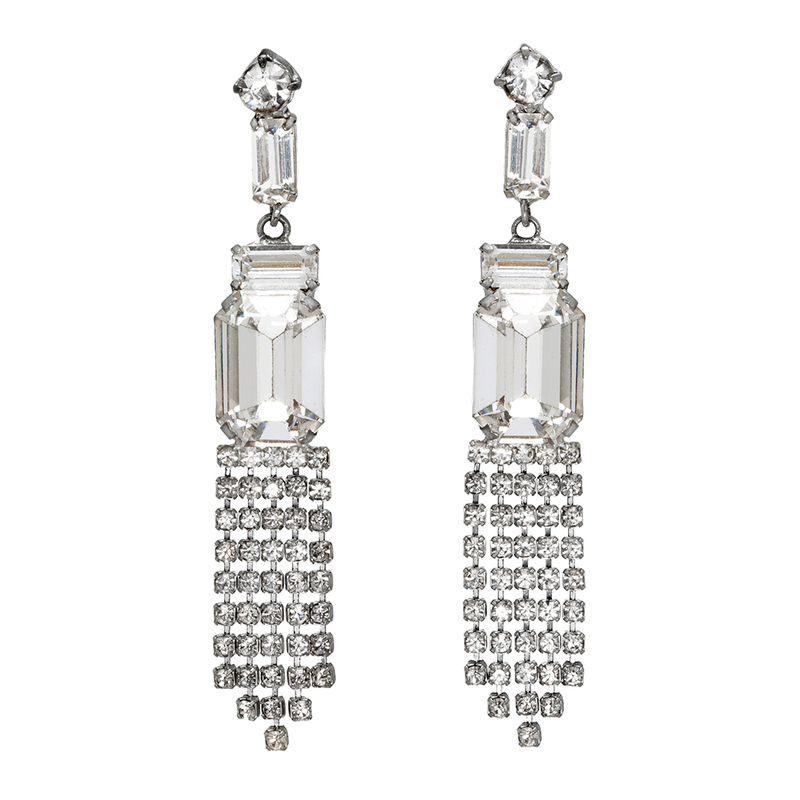 Designed for pierced ears these earrings feature a large octagonal faceted rhinestone and graduated rhinestone fringing which moves as you do, catching the light beautifully. The earrings measure 8cm long by 1.3cm wide.